In celebration of IDRC’s 20th anniversary, DSPORT Magazine’s own R33 GT-R is currently being prepared for some personal record-breaking runs. 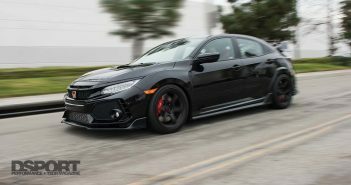 Project RH8 needs no introduction to the avid DSPORT Magazine readers. The previous personal best time for Project RH8 was 8.93 seconds in Las Vegas. For this IDRC West Coast Nationals, we are targeting 8.5 seconds, only because it’s the quickest legal time according to the NHRA rules. We will be working overtime to get the R33 ready for this Sunday April 22nd at Auto Club Dragway in Fontana, CA. Be sure to come out and watch some record-breaking runs, the drag racing battles, and the InstaFame car show. Click HERE to register for the IDRC West Coast Nationals.